With daughter Soundarya's wedding around the corner, arrangements are being carried out in full swing by the Superstar family. As a precursor to the impending wedding celebrations, Soundarya's engagement is scheduled to be held soon. 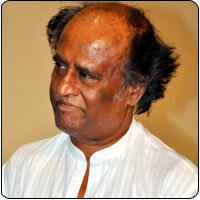 In this regard, Rajini has formally begun inviting guests for the event. He visited former Chief Minister Jayalalithaa, who is the family's neighbor and a Poes Garden resident, personally to invite her for the wedding engagement. He is also set to extend personal invitation to other close friends and relatives of the family soon.